Posted by Carolyn Pippen on Monday, December 5, 2011 in Admissions Committee, Application Process, File Reading Explained, The College Essay. 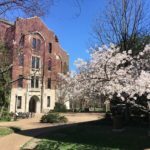 I know that everyone reading this blog is at a different stage in his or her college admissions process. Some of you have already applied, some are working on applications right now, and others are a year or two (or several!) away from beginning. Regardless of where you are, there’s one question on everyone’s mind: What happens to my application once I hit submit? Once we receive all the required parts of your application, our amazing processing staff compiles everything into a folder and puts it on the shelf that belongs to your Admissions Counselor. Every once in a while, our counselors will go downstairs, grab their giant stacks, and take them back to the office or their homes to begin reading. At this point, all counselors follow their own routines in dissecting the file itself, but all main components of the application will be reviewed every time. For the purposes of this blog, I’m going to tell you how I do it. The first things I look at are what I call “The Numbers.” I will review your GPA, where you stand in your graduating class, what type of classes you’ve been taking, and your standardized test scores. If you’ve ever heard a Vanderbilt counselor talk about these pieces, you will know that I review them all in context. Your school report and profile will allow me to see this information not just as straight numerical data, but as an image of how you performed given what was offered at your school. Next, I will make a quick note of your academic and professional interests. This question is not required, and we get more than a few “Undecided” applications – that’s fine! If these interests are indicated, however, I will tuck them away in case they become useful later on. For me, the most difficult parts of the file to evaluate come next – the extracurricular activities list and resume. This is where I have to dig through all the filler and fluff to find those few activities to which you have truly given of yourself and your time and which have shaped you as a student. There are a few big indications that a certain activity is something I should pay attention to: placing it at the top of the list, showing a significant (but not physically impossible) number of weekly hours spent in this area, or offering deeper explanation in the following short answer. Next up is my favorite – the essay. This is where we lose all the filters and I actually get to meet you. 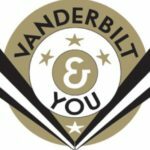 A good essay can tell me not just how strong of a writer you are, but how you define yourself, what makes you stand out, what you care about, and how you might be a great fit for Vanderbilt. Finally, I will look at your recommendations. Now that I know what you think of yourself, I want to know what other people think about you. Believe it or not, these two things usually end up being pretty similar! A lot of the really compelling intangibles I will use in my advocacy come from these letters, and the most useful ones are those that are backed up by specific stories – hard evidence of your diligence helps make a recommendation stand out. Up until this point, I have been jotting down notes in my handy dandy notebook, and now I have to compile it all into a cohesive summary. I see it as a writer’s challenge – can I take your achievement, your involvement, your communication, and your advocacy, pull together all of the common threads, and communicate the essence of you in the small space that I’m given? This may seem like a scary idea, but don’t worry – we are all very good at our jobs. All right, so I read your application – I told you I would! – what now? At this point, every application will be sent to a second person to be reviewed again, then either a decision will be made or the file will be sent to committee. More to come on that soon! I agree with Michael. Thank you for this! I still feel very nervous, but at least I am comfortable with the process. And also comfortable with some aspects of my application now. Thanks for your note. 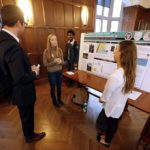 Following is a webpage that lists over 350 student organizations that are active on-campus: http://www.vanderbilt.edu/studentorganizations/subject-listing-of-student-organizations. 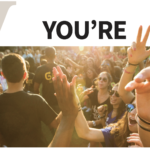 I would also encourage you check-out the Student Life section of this page: http://admissions.vanderbilt.edu/college-student-culture-living.php. 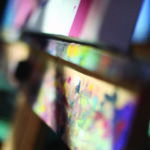 And please also visit a page we’ve devoted to our great hometown of Nashville: http://www.vanderbilt.edu/nashville. 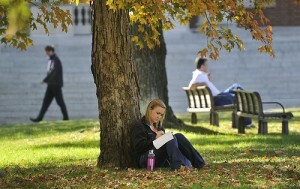 When do you anticipate mailing ED1 decision letters for the class of 2016? EDI decision letters have been mailed as of this afternoon. EDI decision letters were mailed as of this afternoon. Do we receive our letters on the 15th or are they sent out on the 15th? I think that you have provided the applicants with perfectly arranged procedure and all the information needed, so this speaks very well for your college, Bravo! At least I realize what I shall be emphasizing on!